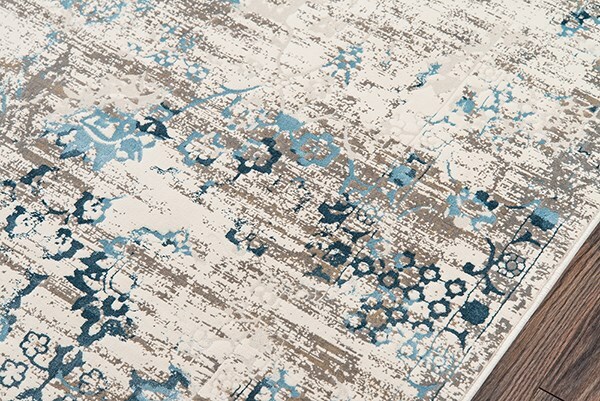 The Juliet collection will enhance your decor with a unique vintage appeal. 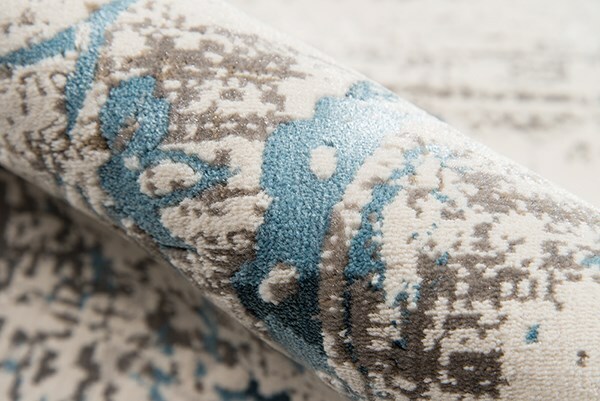 It has been crafted with durable polypropylene for longevity, and touches of viscose for luster and softness. A trend-conscious color palette with light airy colors is used to create a peaceful and cool home. 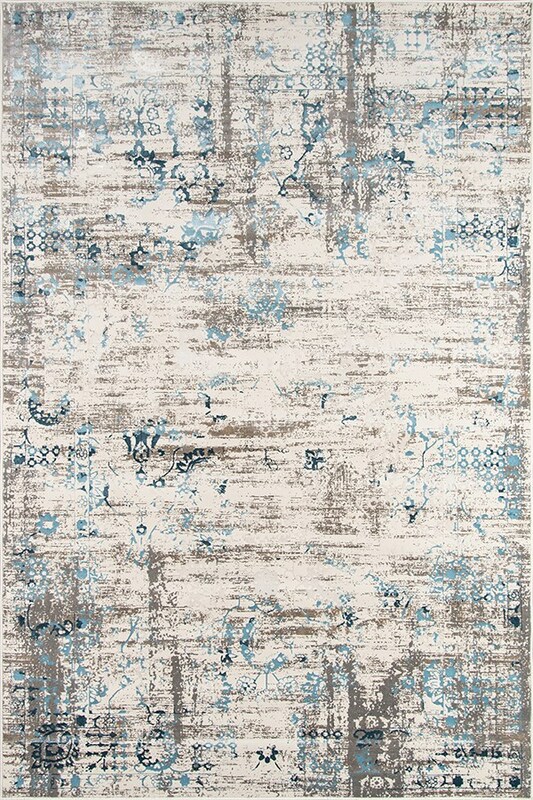 Power-loomed, this romantic collection will adorn any floor. 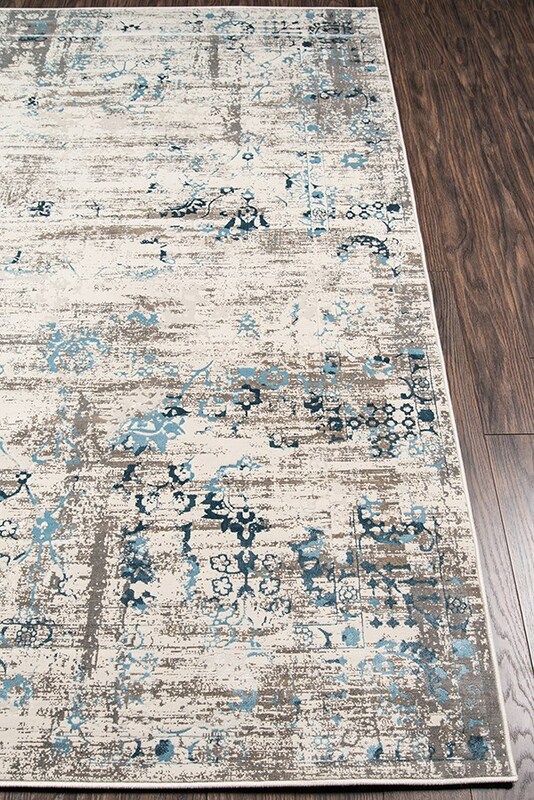 The colors in this rug were just what we were looking for. The weave reveals different tones depending on the direction from which you look at it. The rug is very close to the website image and goes great with out room.. I like the colors - they are as they appear in the ad. Rug was a little thinner than I expected and stiffer. But it is fine.